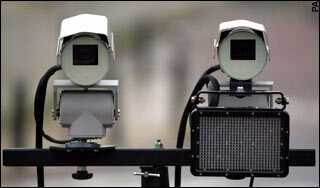 The discovery that images of cars captured on road-side cameras, and “personal data” derived from them, including number plates, can be sent overseas, has angered MPs and civil liberties groups concerned by the increasing use of “Big Brother” surveillance tactics. Yesterday, politicians and civil liberties groups accused the Home Secretary of keeping the plans to export pictures secret from Parliament when she announced last year that British anti-terrorism police could access “real time” images from cameras used in the running of London’s congestion charge. Her permission to do so was hidden away in an earlier “special certificate” signed by the Home Secretary on July 4. Officers from the Metropolitan Police have been given the right to view in “real time” any CCTV images from cameras that are meant to be enforcing the congestion charge. Civil liberties campaigners said they were appalled that images of innocent people’s journeys could end up in the hands of the British police, let alone foreign investigators. They feared that it was a move towards the US-style system of “data mining” – in which powerful computers sifted millions of pieces of information as they tried to build patterns of behaviour and match them to material about suspects. Gus Hosein, who runs Privacy International, said he was making a complaint to the information commissioner having obtained a copy of the certificate.